Effective Monday, the bus stop located at the roundabout connecting the Causeway, Kindley Field Road and Cahow Way will no longer be serviced by DPT buses, as the bus stop structure will be permanently removed to develop an entrance to the new airport passenger terminal. A spokesperson said, “The Ministry of Tourism and Transport’s Department of Public Transportation is advising the public, that effective Monday, 11 February, the bus stop located at the roundabout connecting The Causeway, Kindley Field Road and Cahow Way, will no longer be serviced by DPT buses. “The bus stop structure will be permanently removed to develop an entrance to the new L. F. Wade International Airport passenger terminal. “The removal of this stop is expected to have minimal impact on service delivery and all buses will continue to service the existing airport facility via Cahow Way. As a matter a fact do us all a favor and remove all the bus stops because the buses don’t show up anyway. Thanks plp/biu. That’s a lie! I’ve been catching the buses regularly for the past month. Quit the attacks!! When you cant keep up with ya bus schedule, remove bus stops! ….worked for the trash collections, why not! Why is there no boat pick up and drop off at the new airport? Seems silly as the dock is already paid for and built by AC, they just took it away and put it in storage. De $77 Million Friends and Family Scheme. Planning permission was for the duration of the AC. If you put forward a business case you would likely be allowed to put the dock back. But you won’t do that, because you just like to bash everything that’s good. Just like her cousins who are bashers! Look for the positive in everything. The bus goes in the airport anyway. 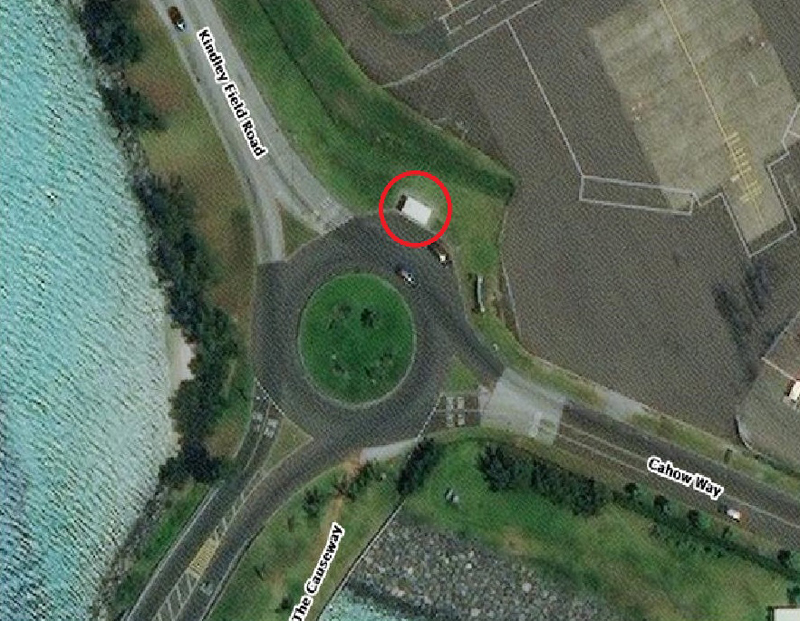 That bus stop probably shouldn’t have been placed there or the stop going east after the airport. They make no sense. cant think of how to make schedule work, remove stops. Problem solved. Well done voters, you all got your wish. This is a great loss to the community. It was the perfect spot to throw on your raincoat after seeing those grey skies across the causeway. It will be missed. Now this is a true statement. I often saw bikes left and people would’ve caught the bus or gotten a ride. Why would folks wanna stop at the airport anyways?